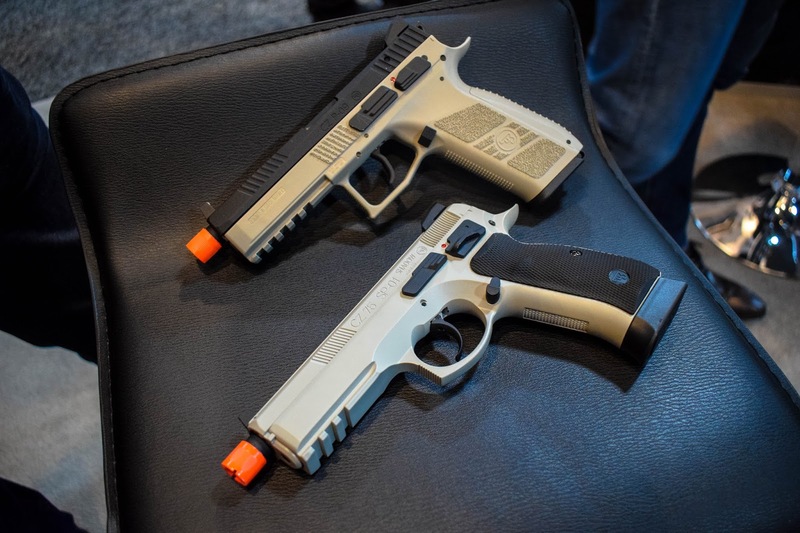 I'm back with more SHOT Show 2018 content and today I'm going to be dropping the latest news from Action Sport Games/ASG! 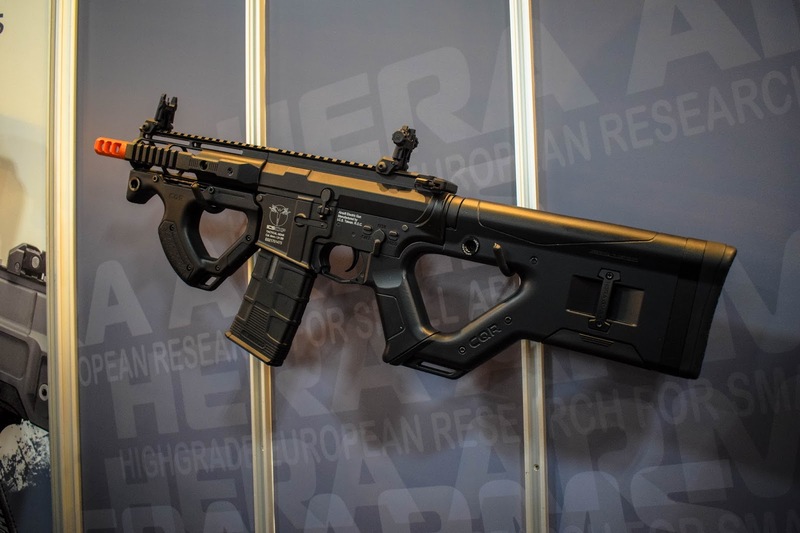 First up we're going to be looking at the HERA Arms CQR, a joint project by ASG and ICS Airsoft. 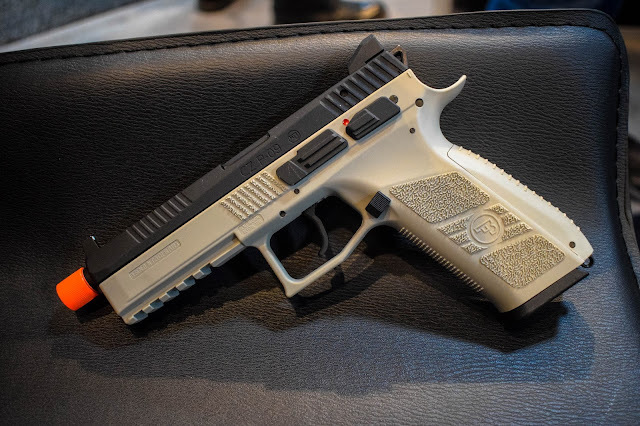 The model we saw at SHOT Show 2018 was a prototype, and although not a lot of the production model features were revealed I do have a little bit of info on it! 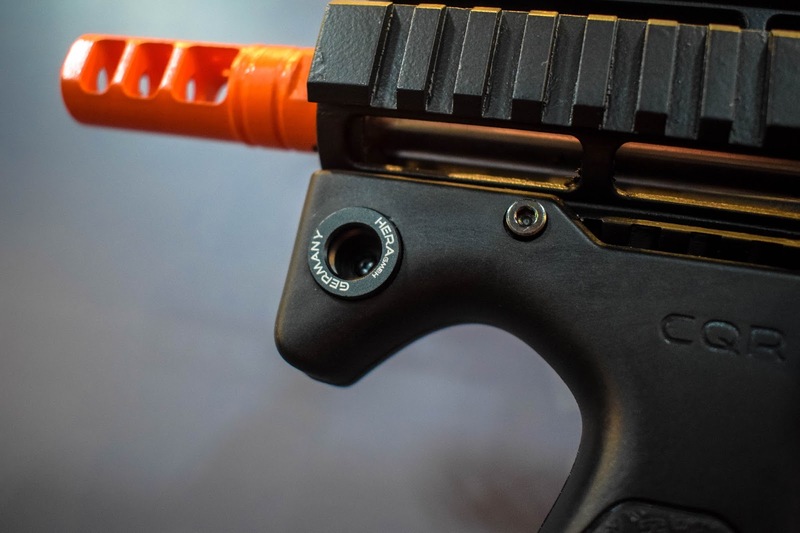 The rifle is being designed and developed using the original blueprints provided by HERA Arms - although a few features will have to be changed and be custom made for airsoft. The project is based on the ICS CXP AEG and upon release, the HERA Arms CQR will be available in black, tan, and OD green colourways. 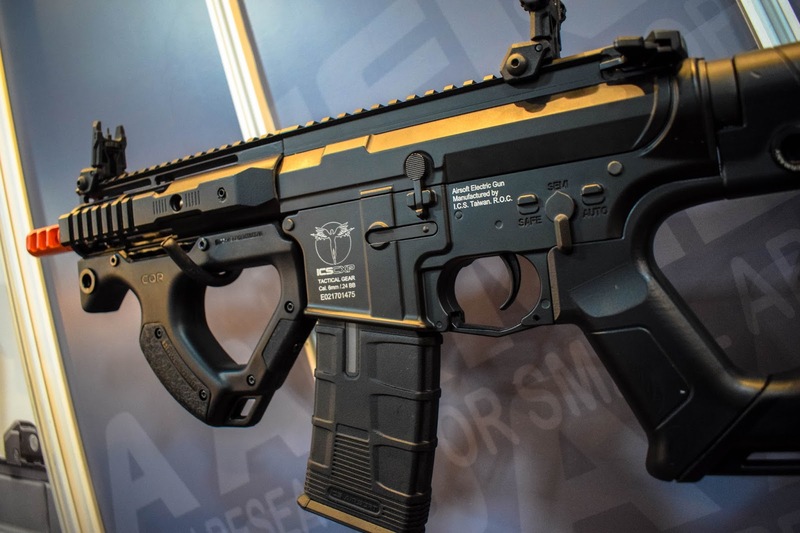 The features that ASG have announced so far include: a split gearbox for easy access and realistic disassembly, quick change spring, angled surface receiver, large ambi charging, detachable CFS folding front and rear sights that are fully adjustable, multiple sling attachment points that can accommodate different carry methods and there will be multiple stock length options. 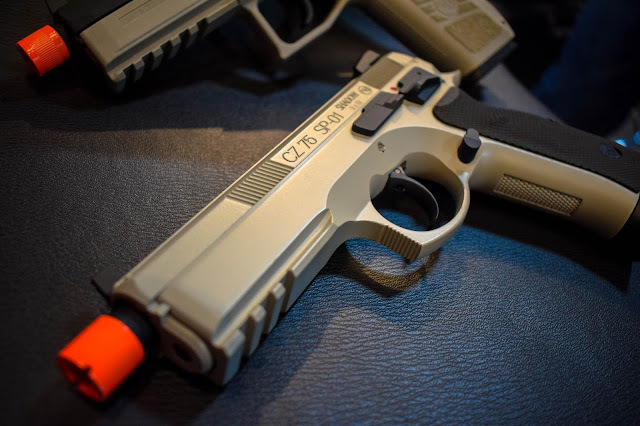 Whilst the booth I also got to check out the new colourways for the ASG CZ P-09 and the CZ Shadow SP-01 - both airsoft pistols will be available in the new colour 'Urban Grey' which is CZ's own shade of FDE and grey! What's really cool about this colour is that it shifts under different light conditions as you can see from the photos, so in yellow/warmer light it looks more tan than grey and in blue/cooler light it looks more grey, the colour is super adaptive for its environment. The European variations of these will of course come without the orange tips but I'm looking forward to seeing this colourway hit the field!